Despite our best intentions and efforts to provide a happy, healthy life for our pets, circumstances and unexpected events can sometimes get in the way. We may suddenly find ourselves unemployed, temporarily unable to work due to sickness or injury, or our furry friend may suffer a catastrophic injury or disease. 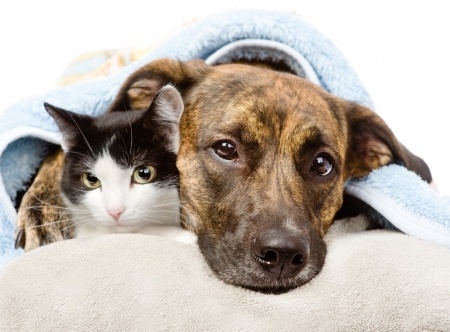 In such situations, an owner may be unable to pay for their pet’s veterinary care or even basic nutritional needs. Sometimes the only solution an owner sees is to have their animal euthanized. That’s unfair for the animal and heartbreaking for all concerned, including the veterinary team. Although Powell Veterinary Services does work with owners in these situations to provide assistance, there is only so much we can do. That’s why we have partnered with the Bentley Memorial Fund and First National Bank of Kersey to provide a means to help these pet parents in need and their deserving companions. The Bentley Memorial Fund is a non-profit that was created by the Siegfried family in honor of their dog Bentley, who was struck with a debilitating disease and had to be put down. The Fund helps to provide veterinary services and food to those pet owners in and around Kersey who cannot afford it. The non-profit also helps provide resources for stray, injured or abandoned animals that are brought to the clinic by caring strangers. In December 2017, the Fund, with the help of Powell Veterinary Services and some very generous clients, was able to help one kind Kersey resident who provides food for 22 feral cats. The organization also provides pet food for those who need temporary assistance. The Bentley Memorial Fund operates solely with the donations from generous people like you. It is a 501(c)(3) organization, so all donations are fully tax deductible. You can go to Bentley Memorial Fund or our Facebook page to donate, or you can donate in person at Powell Veterinary Services at 25505 CR 53, Kersey, CO 80644 or First National Bank, 301 1st Street, Kersey, CO 80644. And let us know if you need assistance or know someone who does.